The NDIS is the government’s way of ensuring that members of the community living with a disability receive the right level of funding so that individualised support services and resources can be delivered to the person as necessary. The NDIS is a nationwide program but in Western Australia, NDIS operations are managed in a slightly differently way. This is done through association with Disability Services who employ Local Coordinators in metro and regional locations. Enable works collaboratively with these Local Coordinators to ensure that support plans are correctly implemented and support is delivered exactly where it is needed. As a contemporary disability service provider, Enable’s comprehensive knowledge of funding means that we are perfectly positioned to assist new and existing clients with questions surrounding needs assessments, disability planning, individualised support and most importantly, how to get the absolute best form the opportunities provided through the NDIS. 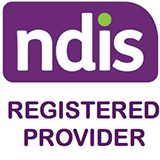 If you are new to the NDIS, the first stage is to determine if you are eligible for funding and you will be asked to contact a Local Coordinator in your area for further assessment. Ask for relevant medical records. Additional supporting information may be requested in order to make an eligibility decision. If you are planning to schedule a meeting with an NDIS Local Coordinator, it is important that you have someone with you who can help you to understand the information and what could be included in your plan. This can be a friend, a family member of someone from Enable. Here are some questions to think about before attending your NDIS planning meeting. Remember, if you are an existing Enable client or even if you are considering Enable as your service provider, you can always ask us to help you answer these questions. What is your accommodation like? Where and with whom do you live? Who supports you right now? What’s working and what’s not working for you at home? What things do you enjoy and what activities would you like to have a go at? Do you work, volunteer or study? What do you do for entertainment and who do you socialise with? What additional support do you need to assist with your life at home and to access your community?